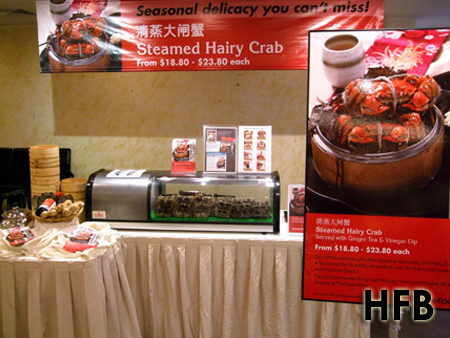 Food Junction is the first and only food court in Singapore to offer one of Shanghai’s most prized seasonal delicacies - hairy crabs. 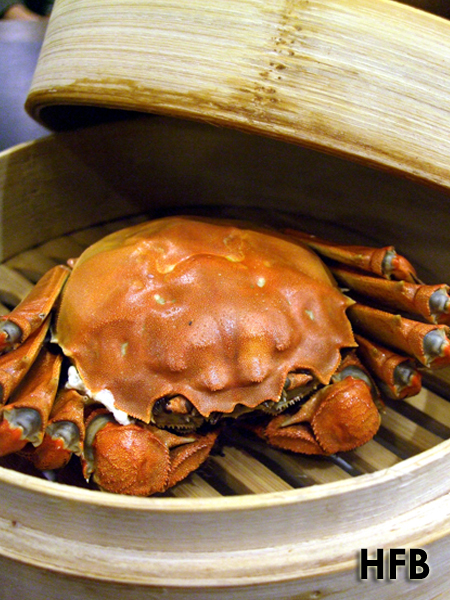 Specially air-flown from Jiangsu region, renowned for its premium hairy crabs, the crustaceans are authentically steamed with well-known traditional Chinese herb “紫苏叶”, or Perilla, member of the mint family. Priced at $18.80 for a male hairy crab set and $23.80 for a female hairy crab set, patrons on a tight budget can now enjoy this gastronomic treat complete with complimentary ginger tea and black vinegar with thin ginger slices for a truly authentic experience (Note: The difference in pricing is due to the fact that the prized roe resides in the female hairy crab). As much as HFB wanted to proclaim that he is a jet-setter and sampled every well-known delicacy across the globe, the truth was in fact otherwise. This is the first time he is sampling the hairy crab (he was previously turned off by the dense patches of dark hair on its claws), and the moment he set his hands on it, he began to understand what the hype and fascination was all about. 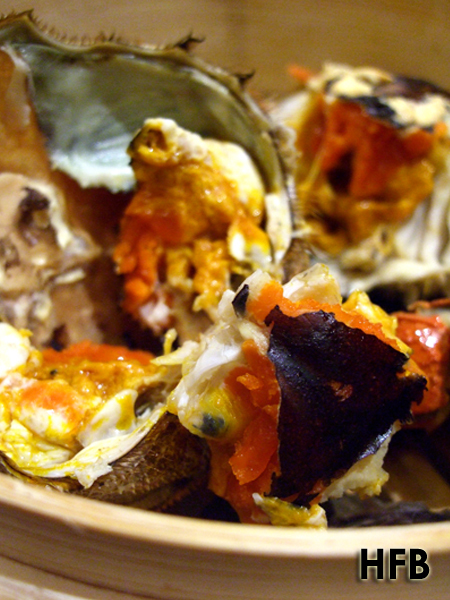 The roe boasted a mouth-watering flavour, along with a unique gummy texture, that is unparallel to any other crabs’ roe he had sampled before. 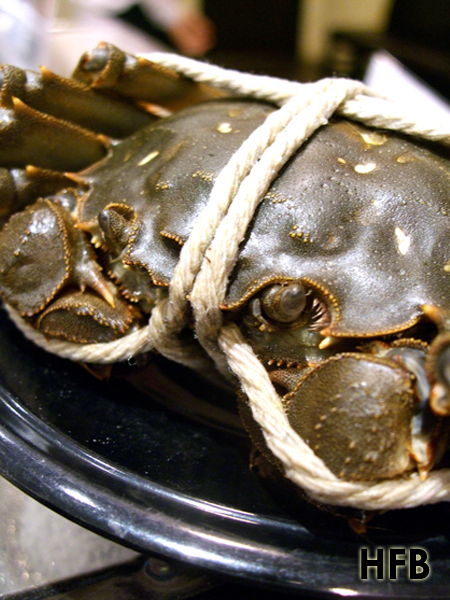 Indeed the roe is so rich that two female hairy crabs would adequately fill one’s stomach (considering that each of them is only as big as a palm). 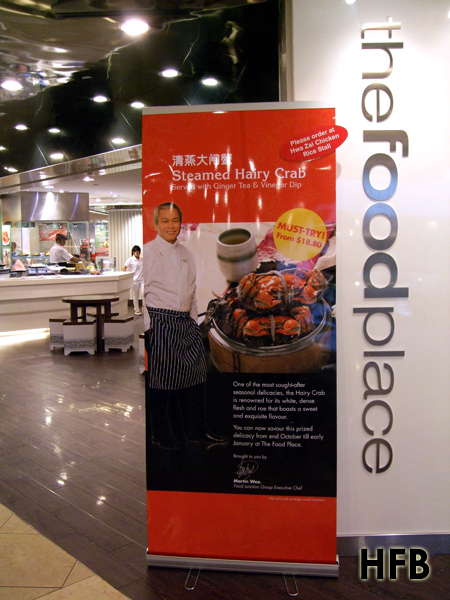 This offering is available exclusively at Food Junction @ Bugis Junction and Great World City and The Food Place @ Raffles City from now till late November, while stocks last. Disclaimer: No ratings would be given, as this is an invited taste test. I would also like to take this opportunity to thank Pris and Racheal, and Food Junction for their hospitality.